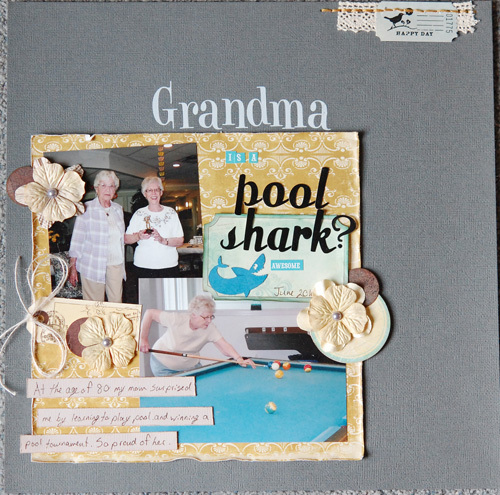 ≈ Comments Off on Grandma’s a Pool Shark? This is a memory I clung to while my mom was in hospital this summer. I kept telling people she would get better, after all she learned to play pool and won a tournament last year. Anyway, it is something I’m very proud of her for and want my kids to know about her. I loved having an occasion to use some of my flower stash. I’m surprised how many I’ve accumulated considering how infrequently I use them.